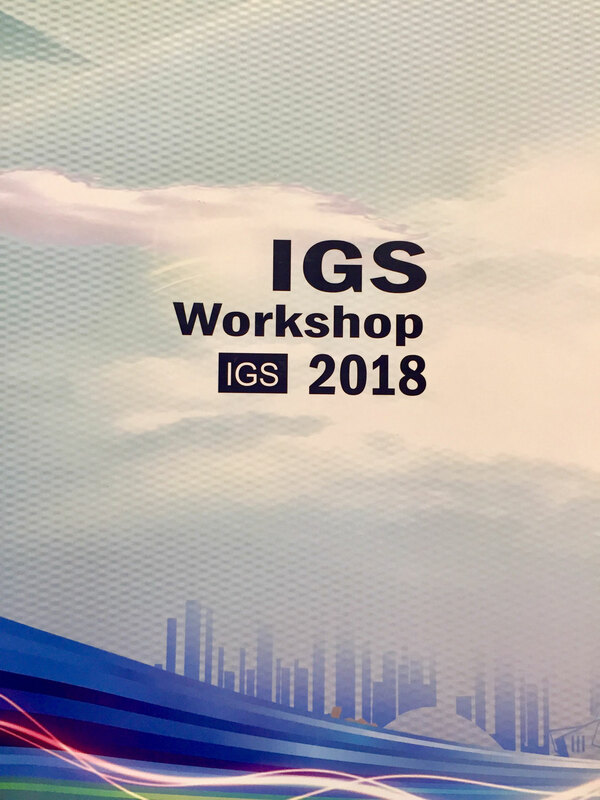 The IGS Workshop 2018 was held from 29 October to 2 November in Wuhan, China. One of the focus of the workshop was to align efforts towards incorporating multi-GNSS products in the standard line of IGS products. As a bonus, we might even see products enabling PPP with ambiguity resolution (PPP-AR) in a not-so-distant future! From 24-28 September was the ION GNSS+ meeting held in Miami, Florida. Evolutions in the conference name (now including the “+”) are well reflected in the content. Research on precise point positioning (PPP) is now driven by the automotive industry which calls for less stringent accuracy needs but higher integrity. This blog post summarizes what I consider to be the key points of the conference from a PPP perspective, with an emphasis on low-cost devices and integrity. The 2017 edition of the IGS Workshop was held in Paris from 3-7 July. I had the pleasure to attend this meeting for the first time and was quite pleased with the quality of the talks and the networking opportunities. Below is a summary of what I consider were important topics: these notes are based on my own understanding of the presentations and I encourage you to look for the original presentations for all the details once they are made available on the workshop website. The ION GNSS+ 2016 meeting took place last week, from September 12-16, in Portland OR. Here are the highlights of this meeting from a PPP perspective.